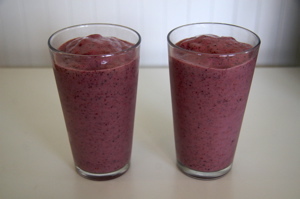 A sunny holiday weekend cries out for a cold, thick smoothie. Here’s a simple one that’s sure to please. Put all of the ingredients into a blender. Blend until thick and smooth.